The prevalence rate for work related stress in all industries was 1220 cases per 100,000 people employed averaged over the three year period 2011/12, 2013/14 and 2014/15 (Health & Safety Executive 2015). When we break this down into categories of occupation we found that the professional occupations category has significantly higher rates of work related stress than the rate for all occupations. For the same three year period as mentioned above, the professional occupations category had 1930 cases per 100,000 people employed, compared with 1220 cases averaged for all occupational groups, a statistically significantly higher rate. If we break this down further it appears that health professionals, teachers and nurses have the highest rates of stress within this category with rates of 2500, 2190 and 3000 cases per 100,000 people employed over this period. When looking at the statistics between gender, it seems that work related stress in males was 590 cases for males and 920 cases for females per 100,000 people employed, with the 34-44 and 45-54 years ranges having significantly higher rates than the average across all persons. Research has indicated around 12 million adults see their GP each year with mental health problems. Most of these include anxiety and depression with much of it being stress related. 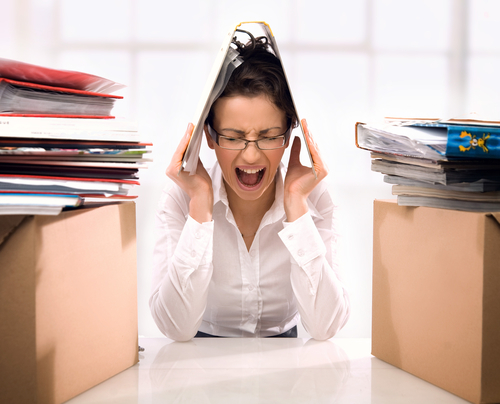 Work related stress accounts for 35% of work related ill health and 43% of days lost, in 2014/15. These figures are alarmingly high and small changes can have big effects on individuals and across companies. As coaches we work on the basis that if one is going to overcome a problem or challenge first one has to understand it. Then with that knowledge one can implement the appropriate changes to improve the situation they may find themselves in. This is appropriate to anyone at work from whichever background or level they are at. It is important to understand Stress has different effects on different people, depending on how we react to certain situations and challenges in our every day lives. It can easily be defined as the way you feel when you are under to much pressure and are unable to cope. It is suggested a certain amount of stress is good for us as it keeps us challenged and motivated and helps our overall performance. However, too much pressure can lead to stress. 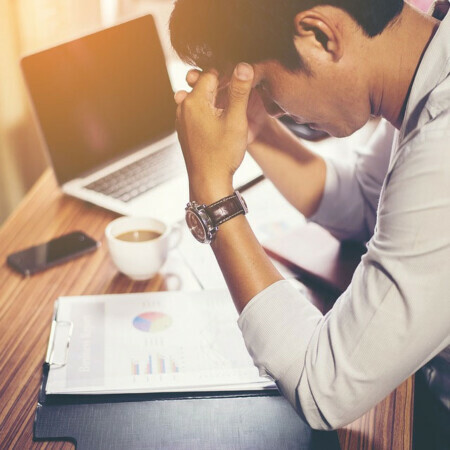 Stress has many causes and is common at both home and at work and with the world around us becoming faster paced and more competitive the pressures of life can creep up on us when we least expect it. So, it is important we continue to ensure we get the right balance in our lives and keep things in the right perspective, and ultimately retain control. Too much pressure or stress can result in a negative impact on our health both physically and mentally. The main symptoms include insomnia, anxiety, sweats, feeling sick, butterflies, panic attacks and an overall feeling of a loss of control. The impact of long term stress can be even more severe affecting our ability to function normally in our everyday lives. That’s why it’s important to recognise the signs early and immediately consult with your GP and make the appropriate and required changes in your life to regain and retain a healthy mind and physical wellbeing state. Our conscious mind can only cope with an average of seven pieces of information at any one time. Too many things going on for too long can create overload and pressure and result in our struggle to cope. It is easy to see how we become stressed isn’t it? The chemistry in the body changes fundamentally every time one reacts stressfully. Stress starts in the brain because of the way in which we perceive a situation as requiring our immediate attention i.e. a hostile reaction from a colleague, an exam, a financial crisis, a marriage break up, an impossible deadline and a loved ones death. Everyone’s resilience levels are different. It is down to an individual’s experiences as to how resilient there are against these stresses. When the body prepares for “fight or flight” it is ready for a short burst of heightened activity. In today’s society, many factors can trigger this response, but few can be dealt with by a short burst of activity. Stress situations are often continuous so stress responses are semi-permanently on red alert, the physical release is unacceptable so the responses are suppressed – a situation which cannot be maintained safely for too long. The stress build up eventually explodes internally, knocks the body systems out of balance and causes extreme physical and mental exhaustion. Long term adrenal stimulation with no discharge of energy will deplete essential vitamins and minerals from the system, namely, vitamins B & C which are vital to the functioning of the immune system. If these are depleted this could cause lower resistance and susceptibility to diseases such as ME. Blood pressure can also be affected and cause a build up of fatty substances on blood vessel walls, as well as, damaging the functioning of the digestive system. When a person faces continual or repeated stress, the response system enters the chronic phase during which resistance declines below normal and eventually that person becomes exhausted. Commence a mind workout everyday. Daily mind exercises can help you re-balance your life and regain control of your thoughts and feelings. Quiet meditation at home using deep breathing techniques or a yoga class twice a week can help re-balance you internally. Mindfulness is also proving to be a very popular and effective tool for combating stress and is mow more prevalent within workplace settings. Try to cut out any sugary, processed or refined foods. It is these we crave and run for when we need to find comfort, however, the comfort is short lived and once your blood sugar level has risen sky-high it dips just as fast and the cravings return an hour later and the cycle begins again. Being aware of what you eat is incredibly important in helping to overcoming stress and a diet of fish, white meat, fruit, vegetables, whole grains and pulses can give your body all the necessary nutrients required to retain balance and harmony. If possible avoid stimulants like coffee, chocolate and alcohol and also too much refined and processed foods or sugar as these can only upset the balance. When we exercise our body releases endorphins which in turn combat stress hormones that are released into the body when we are stressed. Think of this as your endorphins putting out a fire. A fire caused on the inside by all the stress feelings and overload experienced every day. A recommended minimum of forty minutes cardiovascular exercise everyday will keep an equilibrium even if it is just a short walk to work and back. Small changes such as walking or cycling to work. Many people use their lunch hour as a time to get some exercise and go for a stroll, apart from the fact that it breaks up the working day and gives your body a break from work. To make it more fun create a lunchtime walking group or diarise “walking meetings” instead of sitting indoors. For those of you who prefer exercising alone there are some great apps around that measure your steps and even work with your music library on your phone along with motivational prompts from the start to the finish of the jog. Sleeping problems are common with stress. Ensure you have a consistent bedtime routine and go to bed at the same time every night. If you have worries or problems on your mind at night keep a notepad and pencil by the bed so consciously you are in control as you know you can write them down and forget about them if you need to. Avoid cat napping during the day, and try not to become too obsessed with how much sleep you have had. If you have a bad night, draw a line under it and go to bed earlier the next night after a hot bath and relaxing your body through reading a book or listening to some calming music. It is suggested that we only really need a minimum of 4 hours sleep per night to function normally. We have convinced ourselves we need 6 or 8 hours. Take the pressure off yourself. Sometimes, we lose our way in this busy world and our aims and objectives become confused or unclear. By writing down your goals and actions with a timeline this will give you focus and a process to follow and implement. Ensure you keep a diary so you can monitor any symptoms of stress physically and mentally, then apply the above and make the appropriate small changes and take back control. In order for a company to embrace wellbeing it needs to bring it into their company values. Managers need to encourage, support, sponsor and lead all wellbeing at work initiatives first in order to thread it into their companies culture. They need to lead from the front. Managers can create the right environment for their staff by offering flexible working hours, manageable workloads, regular lunch breaks without looking upon this as a weakness. Managers must recognise the signs and symptoms of work related stress and have a process by which to approach their staff sensitively and supportively. Give your staff a voice and more autonomy and ensure that objectives are realistic, timely and consistent. As a Manager, if you notice these symptoms in your staff and are not sure how to engage with them appropriately our Happiness by Design at Work programmes would work for you and your organisation. 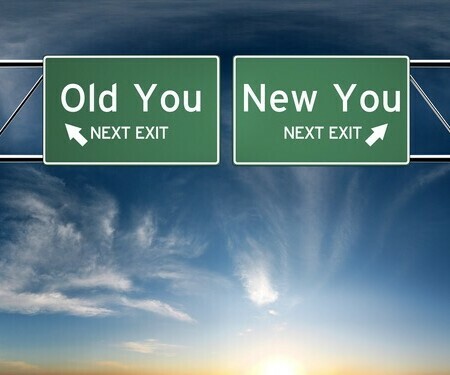 Remember: If you always do what you’ve always done, you’ll always get what you’ve always got.